Yusuke, Kuwabara, Kurama and Hiei rush into the next part of the castle as they reach the final chamber where Suzaku awaits. Unknown to them Suzaku's master plan is being made - to capture Keiko. Meanwhile at the human world Keiko runs for her life as she is being chased by humans possessed by the mind-controlling insects. She runs into a corner and someone pulls him beneath.. It's Botan! Botan calls Yusuke and tells him the situation and Suzaku's plan to capture Keiko.. but their conversation is rudely interrupted by the possessed people and together they run to an exit. 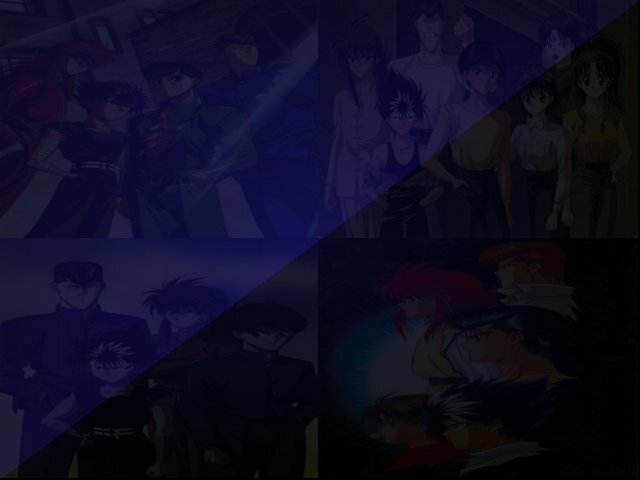 On the other hand Yusuke and the gang are stopped by hundreds of zombies, but then Hiei thinks of a plan, and Kuwabara, Kurama and Hiei worked together and formed a bridge for Yusuke to jump into the nearby entrance to the final chamber. They successfully accomplish the job, and Yusuke runs off to face Suzaku one-on-one as the three finish off the zombies. Yusuke confronts the leader of the sacred demons - Suzaku, who is playing the flute of mind control. Just then Yusuke sees in a wide screen Botan and Keiko being chased by possessed people. With this scene Yusuke becomes enraged and decides to take back the flute by brute force, and he starts to attack with a barrage of punches. However Suzaku blocks every punch with only one hand, while the other continues to hold the flute which he plays. So Yusuke decides to finish things quickly and unleashes a devastating rei gun, however Suzaku is prepared for the situation. He quickly deflects the rei gun off and destroys part of the chamber. Yusuke gets shocked on how powerful Suzaku is, because even with his intense training with Genkai Suzaku was able to defend his rei gun. Then Suzaku decides to take on the offense, and he raises his hand a lighting bolt strikes him - then his power as a lightning-demon arises and he attacks Yusuke with an enormous lighting fist - Yusuke was able to dodge it, but the force of the fist was so powerful it electrified him and knocked him down. Meanwhile Keiko and Botan gets trapped by those chasing them, and Botan decides to fight them off to survive. Keiko uses herself as bait as Botan grabs a fire extinguisher and showers it over the possessed people. However behind her another possessed person appears and tries to choke her out.